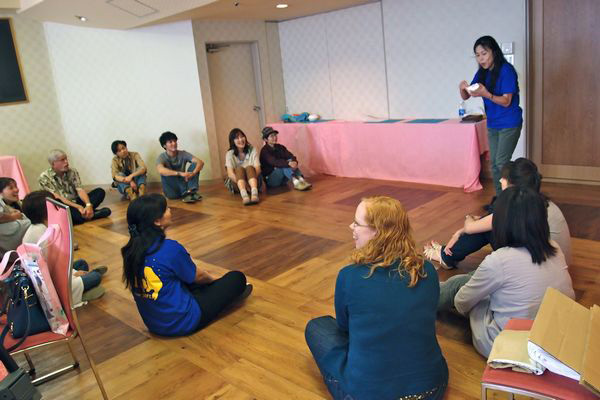 All of the Survivor Care staff members from CRASH Japan, along with care workers from other organizations and churches, gathered in Sendai from June 27-29th for a Survivor Care Conference. In the beautiful surroundings of Sakunami Onsen we listened to a variety of speakers who presented to us on topics like 'Picking up the pieces: What Disaster Care workers can learn from Mark 8',( Shiensha no kokoro to Keicho) 'Active Listening and the Heart of the Support Worker', 'Operations SAFE: a trauma intervention program for Children', 'Support Groups and how to Lead one', 'Kokoro no Care :The R.I.C.E. Model', 'Prayer and Meditation for Self-Care' ,and 'CRASH Survivor Care Training-Review and Re-tool. The highlight of the Convention, though, was on Thursday afternoon when noted Doctor and Professor from Seigakuin University, Hirayama Masami Sensei spoke to us about Suicide Prevention. He drew deeply from his own experiences working with the suicidal, their families, and communities, and talked openly with us about how hard it is. He shared with us about the need for Active Listening, the challenges of supporting families, and the historical difficulties that suicide has posed for the church. He was open about how much of a difference faith makes, and spoke of the time spent together, one weak person who understands pain supporting another person who is also weak and in pain, as a deep and spiritual form of worship. There was a sense in the room that we were in the presence of a master, someone who knew the ins and outs of his field. 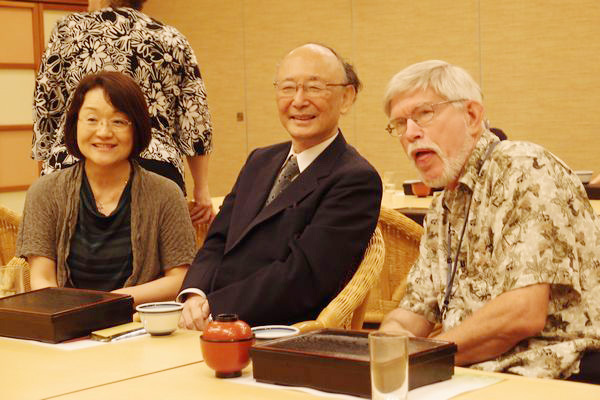 One woman, a counselor, spoke of how she felt a direct lineage...that as a Christian counselor in Japan, the work she is doing is possible because of the groundbreaking work that Hirayama sensei has done already. The question and answer session that Hirayama Sensei did for us after his lecture was a time when people asked questions that were clearly rooted in the challenges they are currently facing in their respective roles as care givers. In every situation Hirayama Sensei responded with depth and the brokenness of a truely humble, great man. It was a tremendous honor for us to be able to hear Hirayama Sensei speak. 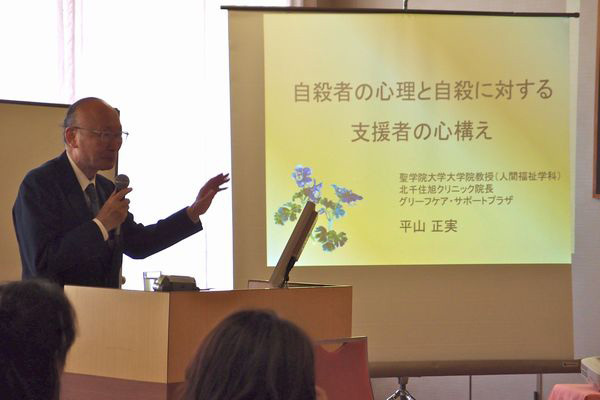 For those who are involved in the work of survivor care, this conference provided a time of rest, and of relection on the work accomplished so far, and as we listened to Hirayama Sensei, we were encouraged to take the next step in our work with survivors. 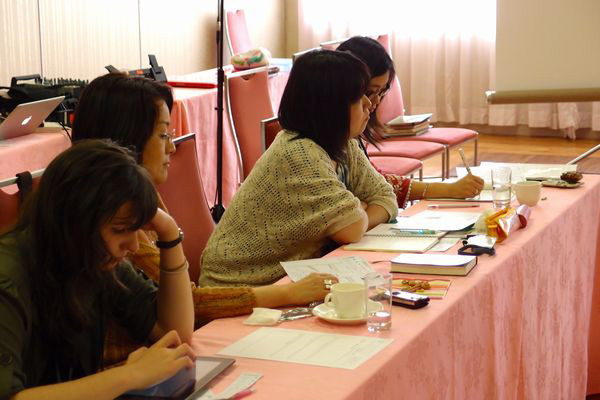 We are greatful for his willingness to come to be with us, and for the support that we received from Tohoku HELP, which made his lecture possible for the Survivor Care Conference.